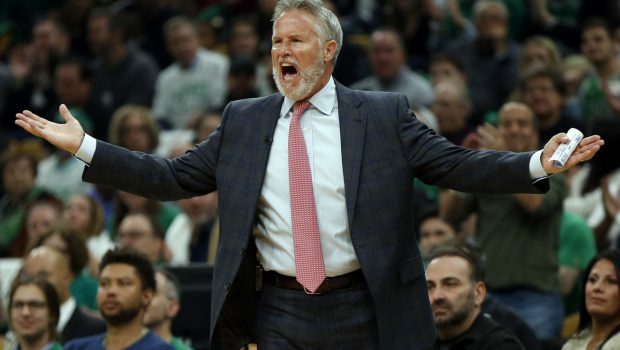 YO BRETT: WHAT’S WITH PLAYING SIXERS SCRUBS AGAINST CELTICS! 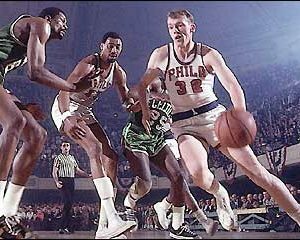 Once again the Sixers weren’t able to get over the Celtics hump last night in a scintillating game that saw the Sixers lose 112-109 at the Wells. 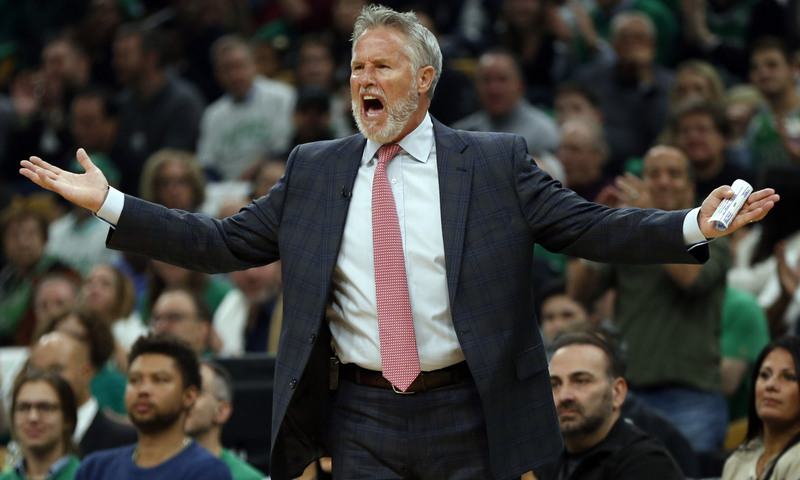 And coach Brett Brown is coming in for criticism for the way he has rotated his players. 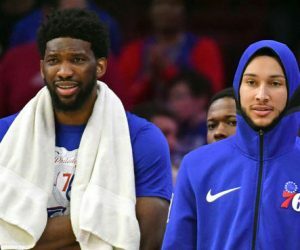 They have a superb starting five of Joel Embiid, Ben Simmons, Jimmy Butler, JJ Redick and newbie Tobias Harris. But Brown inserted Jonathon Simmons into the rotation, gave Furkan Korkmaz 10 minutes, and sat James Ennis. He said before the game there’s a “quiet tournament” between those three for minutes. Korkmaz is a three-point specialist shooting 33 percent from long range, and playing him makes little sense against a Celtics team excellent at exploiting defensive mismatches. In 10 minutes, Korkmaz was a team-worst minus-eight. 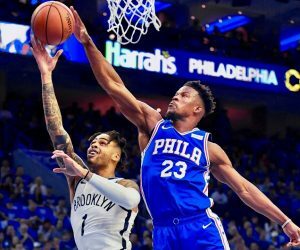 Boban Marjanovic played 10 minutes backing up Joel Embiid despite unfavorable defensive matchups against Al Horford and Daniel Theis for the plodding Marjanovic. Though Marjanovic posted four points and six rebounds, there were a couple of instances when the Celtics drew him away from the basket and capitalized on the lack of a rim protector. Brown was frank in saying he didn’t have a ton of confidence in either of those decisions. He’s figuring it out on the fly. The final third, as I’ve admitted … the tournament, looking at different people, is always on my mind, trying to figure that out when it matters most in April. Just like the usage of Boban [Marjanovic]. At times tonight you think, ‘well, might you get Jonah [Bolden] in the game?’ As I admitted in the pre-press conference, there’s a tolerance level where I have where I want to learn. I want to learn as much as I can about the group that we have and all these things with Jonathon [Simmons] and Boban and Jonah, etc., etc. is all on the table for me to do that. Next PHILS WRAP UP AARON NOLA: 4 YEARS, $45 MILLION!